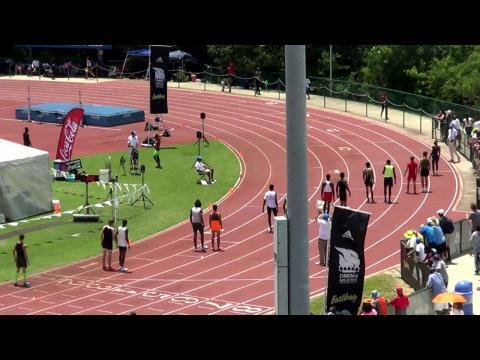 The 2015 Golden South Classic looks to be heated with tickets to the Dream 100 and Dream Mile on the line! 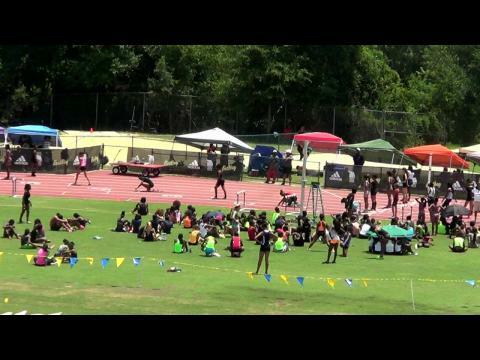 See the final performance list and don't forget to WATCH LIVE ON MILESPLIT May 23rd! 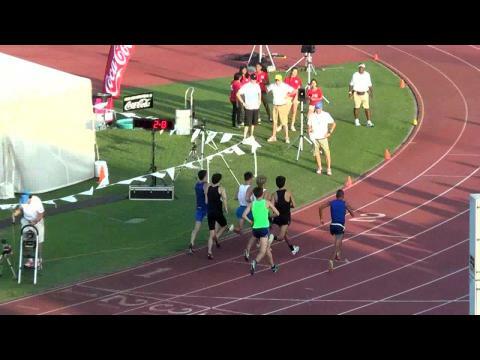 A lot of boys wish they kick in the last lap of their mile! 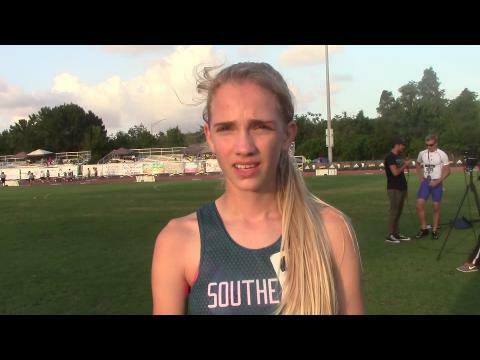 Rachel McArthur led the Golden South Classic's adidas Dream Mile qualifier from start to finish through a slow first 3 laps (hit 3:45-3:46 with lap to go). 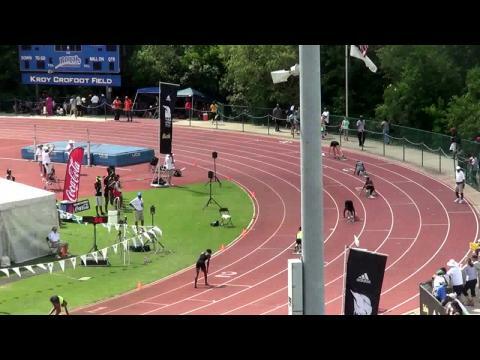 Watch McArthur hammer a 62-63 second last 400 for a 4:48.65 victory at Golden South and KICK Of The Week. 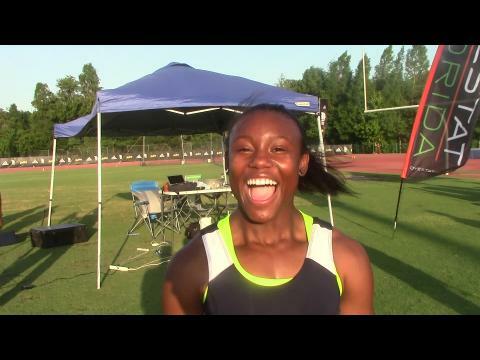 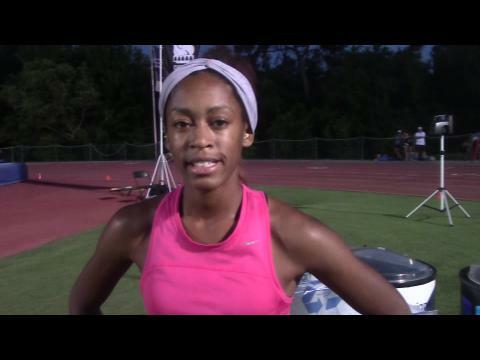 She is headed to New York to compete in the adidas Dream Mile on June 13th! 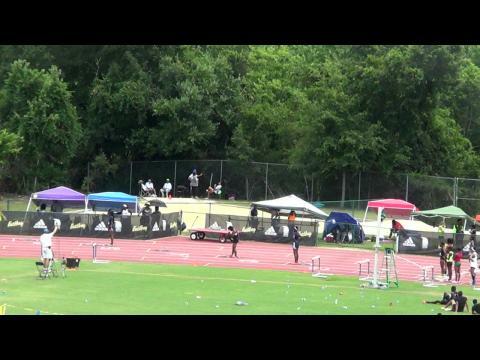 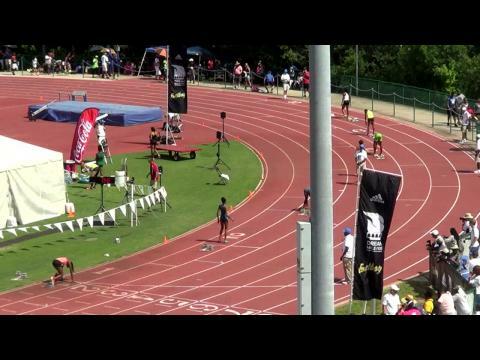 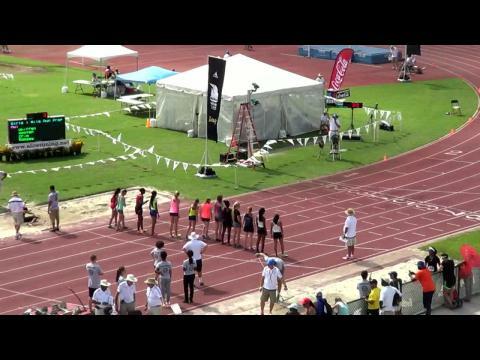 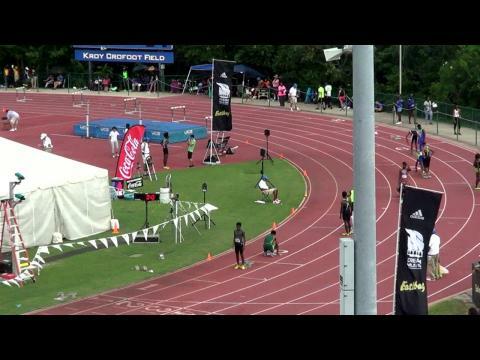 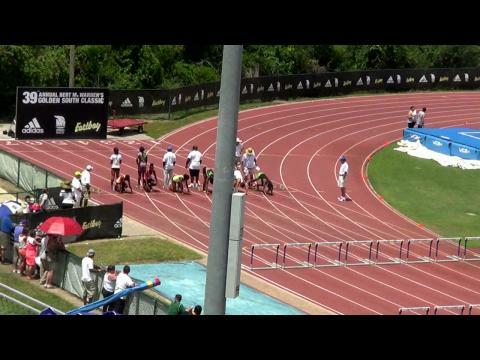 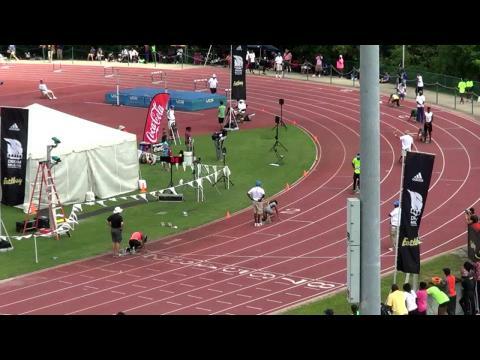 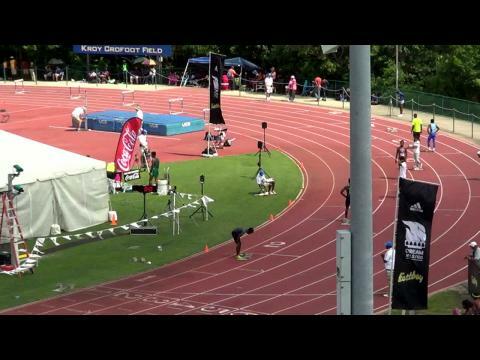 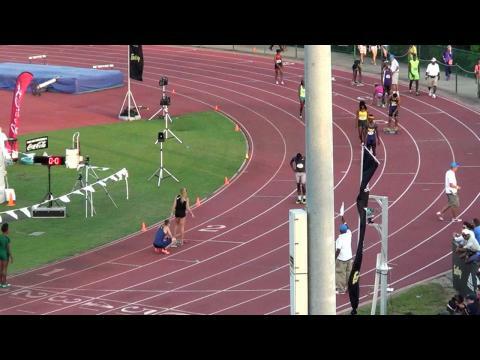 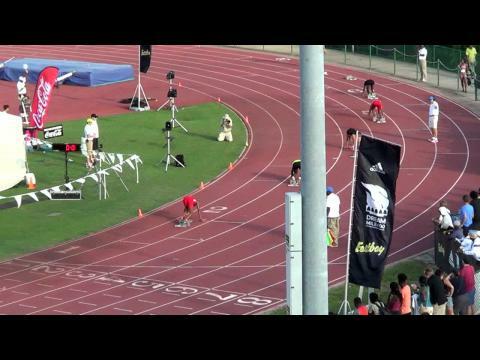 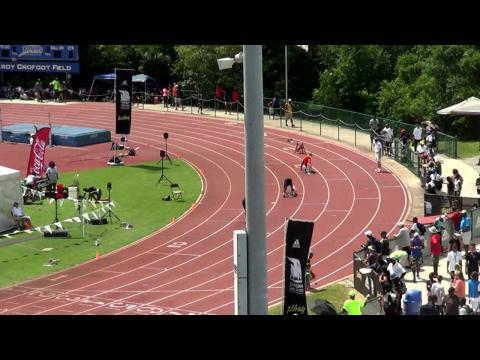 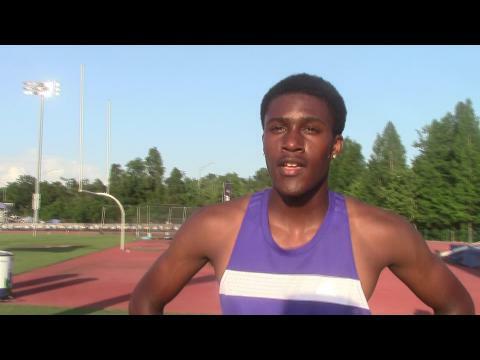 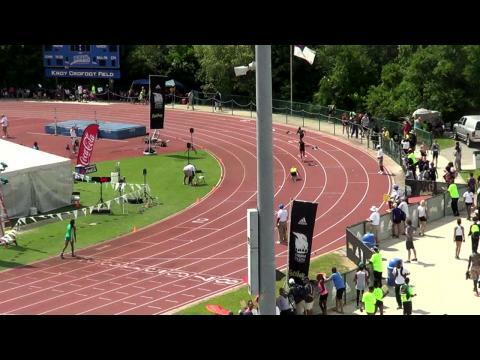 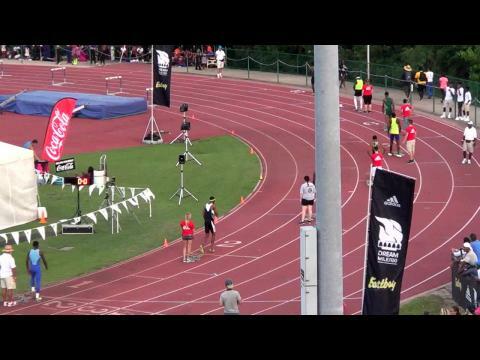 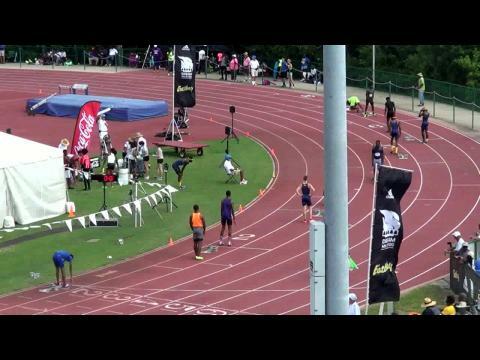 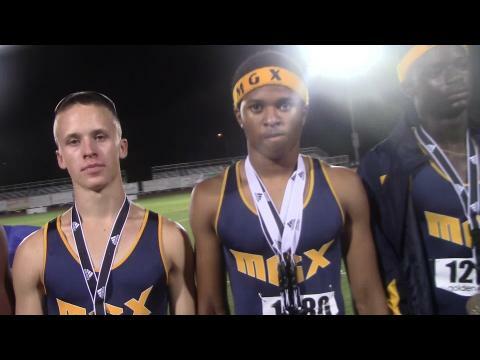 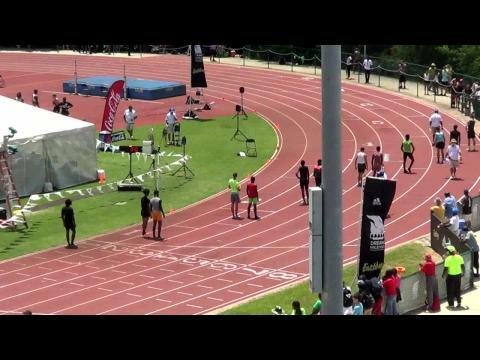 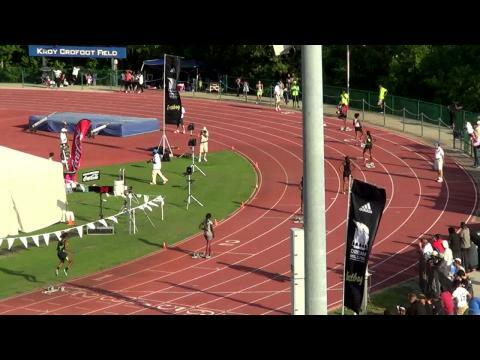 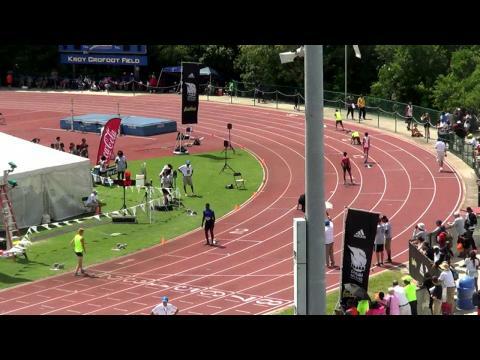 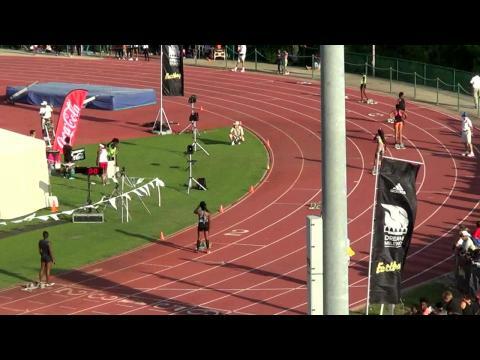 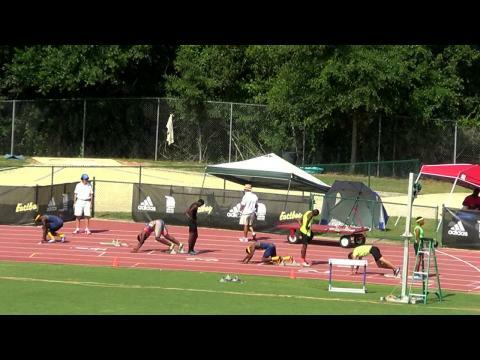 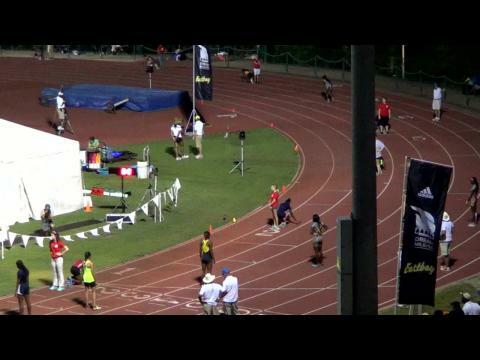 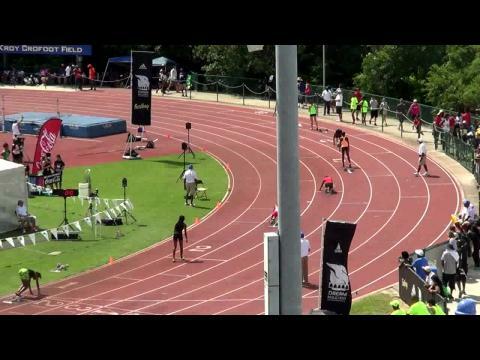 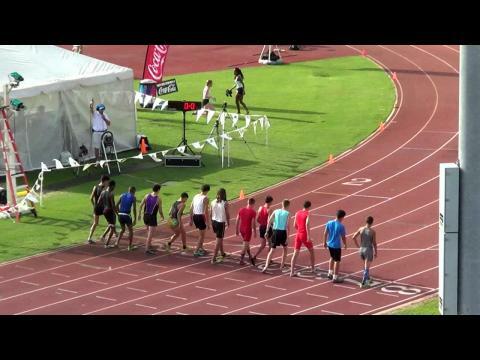 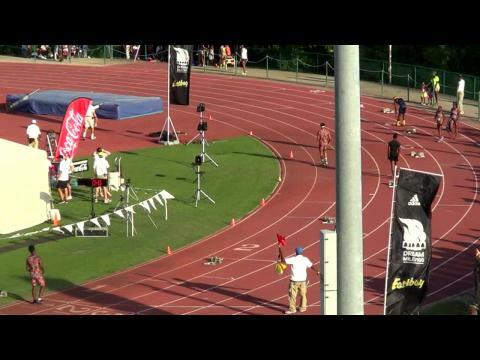 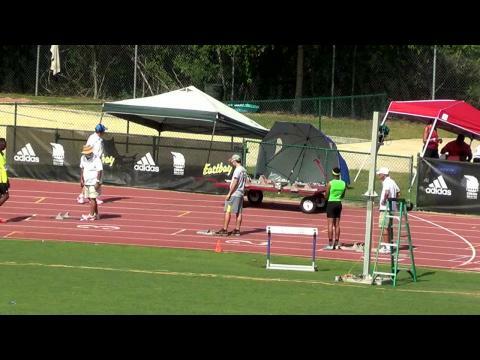 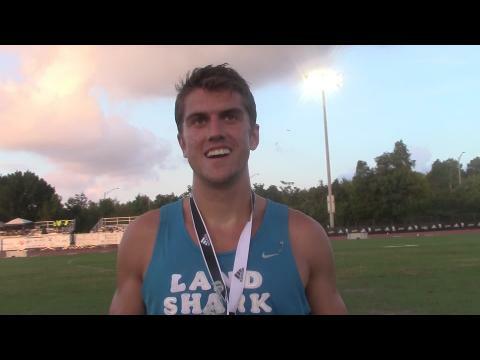 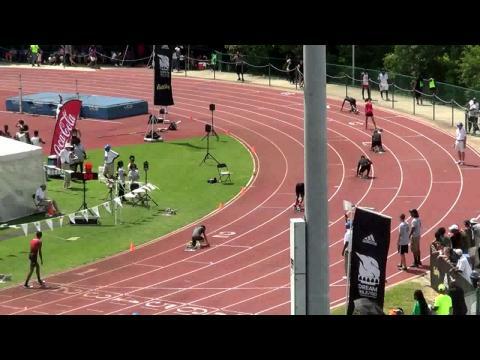 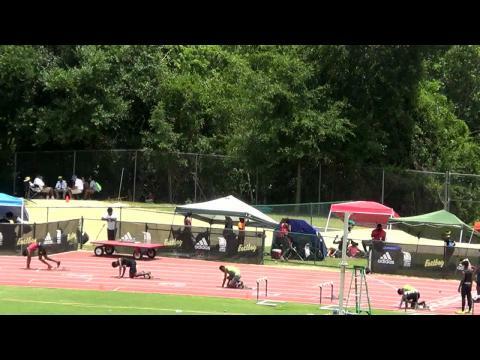 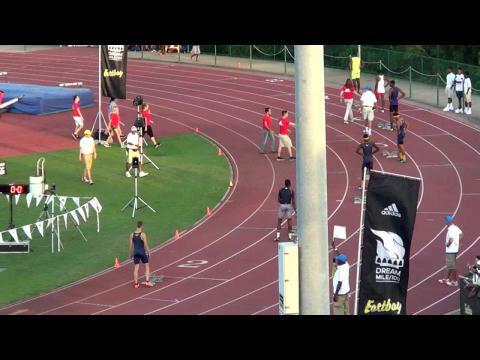 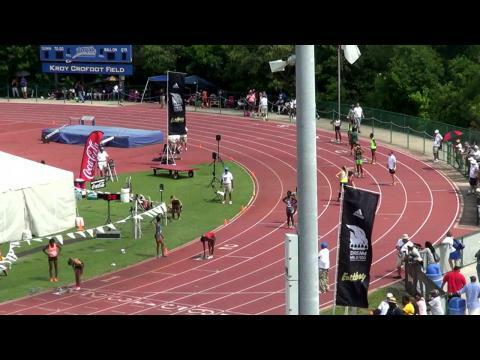 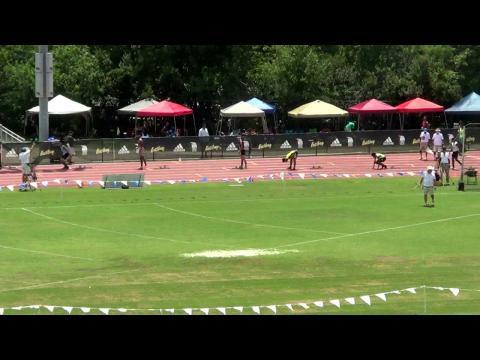 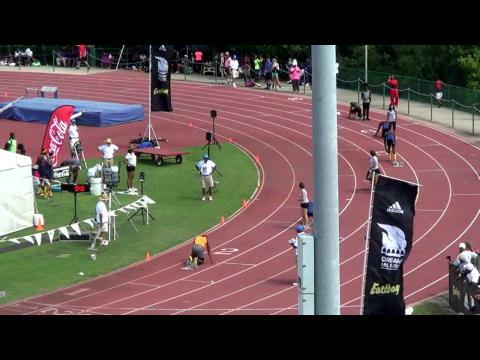 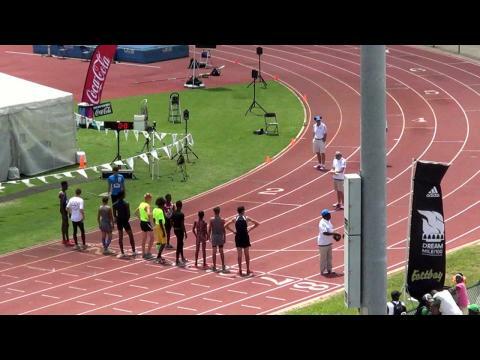 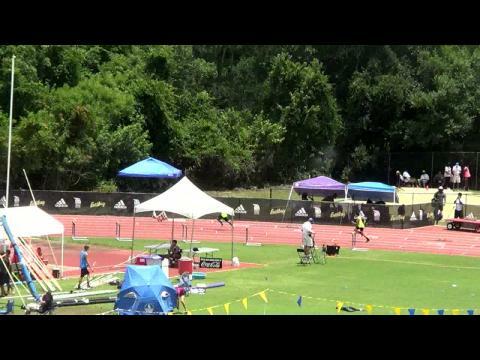 Watch one of the tastiest race videos of the spring in the 2015 Golden South Classic boys mile! 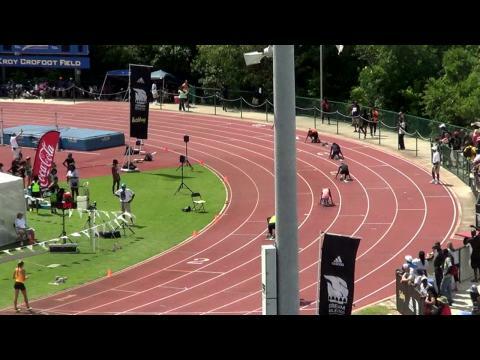 Avery Bartlett, Conner Mantz, and Bryce Balenseifen leave it all on the track for final adidas Dream Mile auto spot! 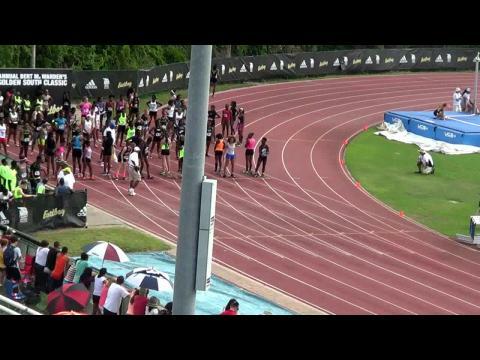 Watch Rachel McArthur close in a 62-63 second last 400 at the Golden South Classic to claim her spot in the adidas Dream Mile! 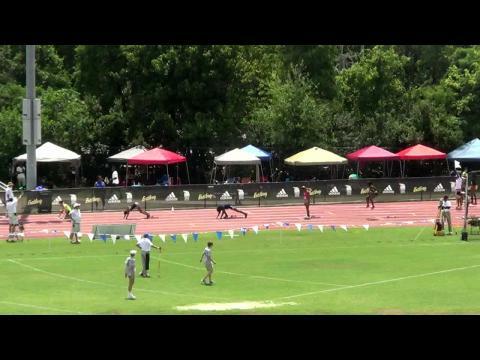 A lot of boys wish they had a finishing kick like that! 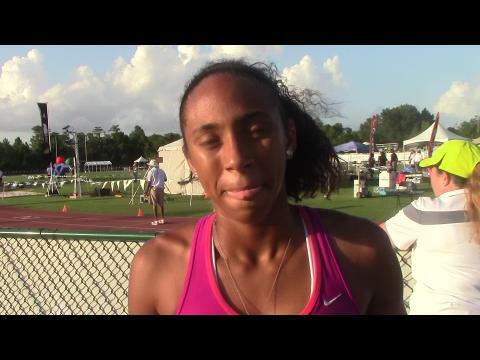 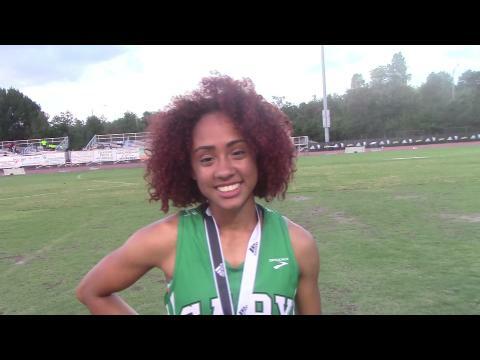 Pasco junior Alfreda Steele is one of the top sprinters in the state and in the nation. 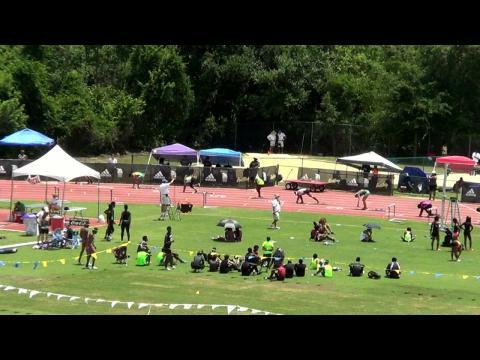 Saturday she will face a heated field at the 2015 Golden South Classic with a ticket to the Dream 100 on the line. 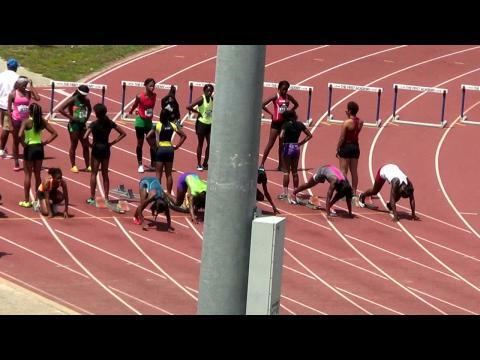 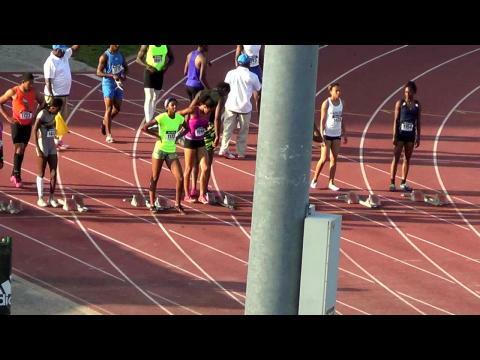 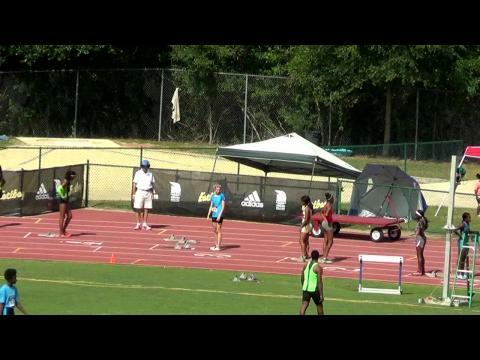 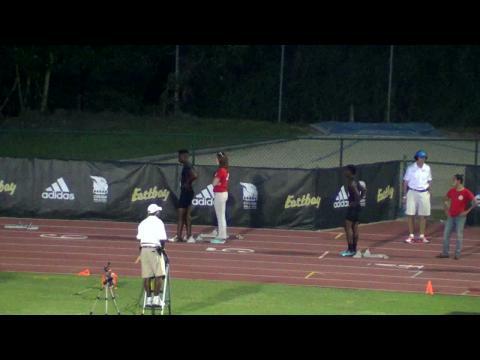 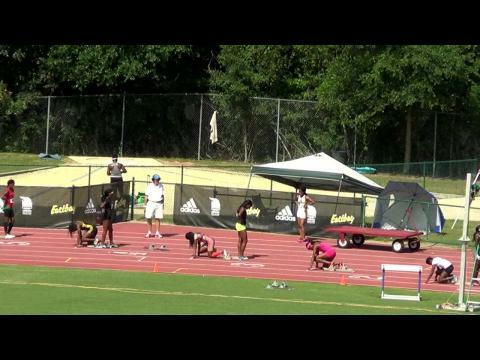 Watch her put in work at the "oval office" days before the meet! 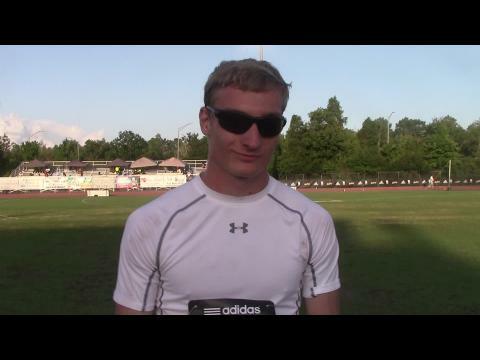 Devin Quinn of Port Charlotte headlines a very competitive field at the 2015 Golden South Classic. 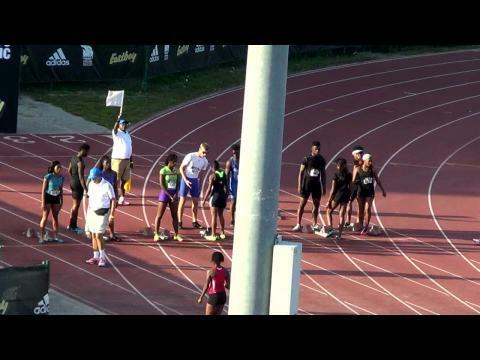 The winner receives an automatic bid to the Dream 100 in New York City. 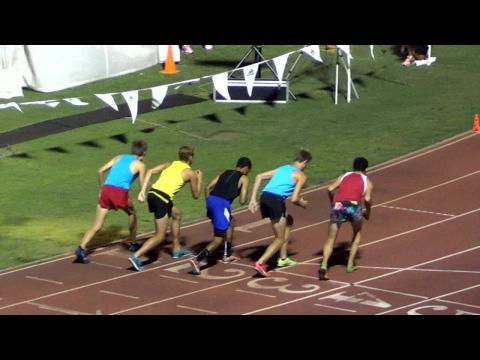 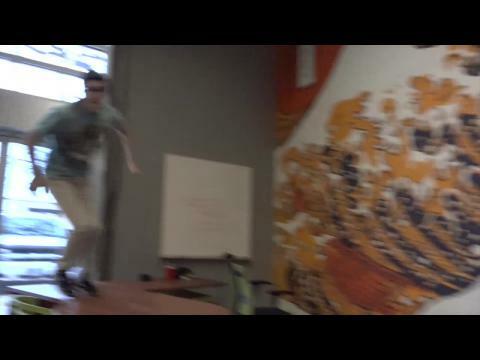 Check out our preview of the big race! 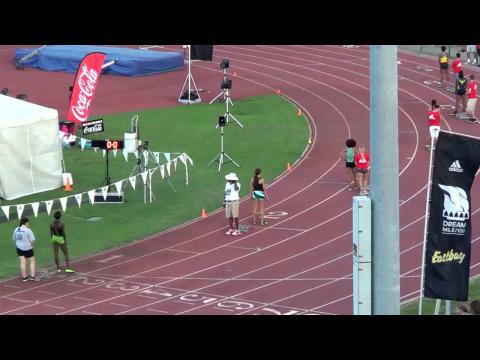 The 2015 Golden South Classic will give runners one last opportunity to punch their tickets to the Dream 100 and Dream Mile in New York City. 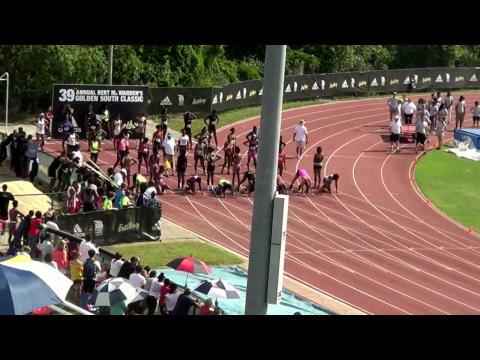 We preview the girls 100m dash and the top candidates to earn that coveted trip! 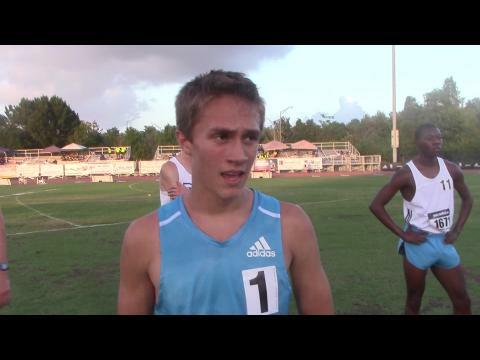 Florida's top distance runners will be challenged by nationally ranked Connor Mantz of Utah (pictured above) and Bryce Balenseifen a nine time state champion out of Oklahoma. 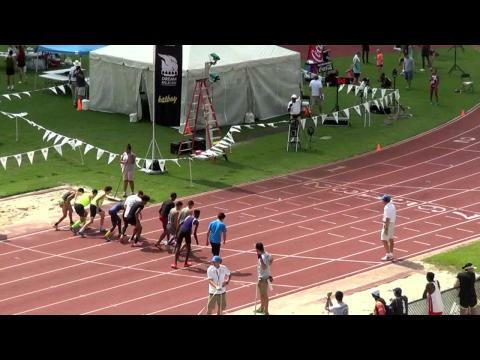 Mantz is the man to beat and would like nothing more than to return to the Adidas Dream Mile where he was 10th in 2014. 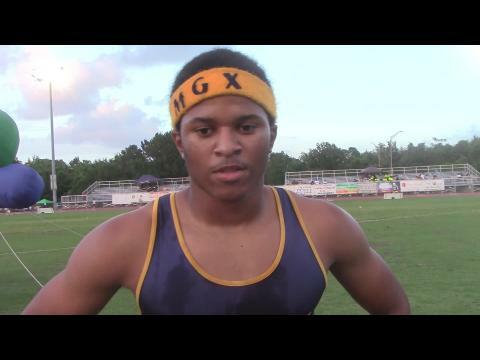 Complete results from the 2015 Golden South Classic in Orlando, Florida on May 23rd. 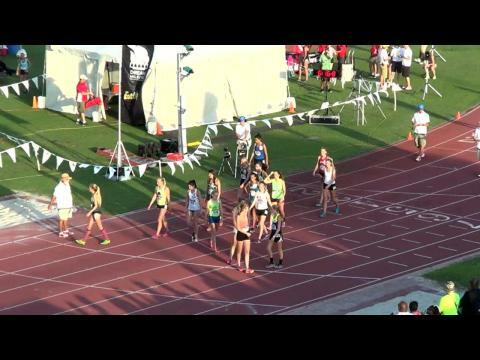 Rachel McArthur maintains her separation from Lauren Gregory on the final straight of the Golden South mile. 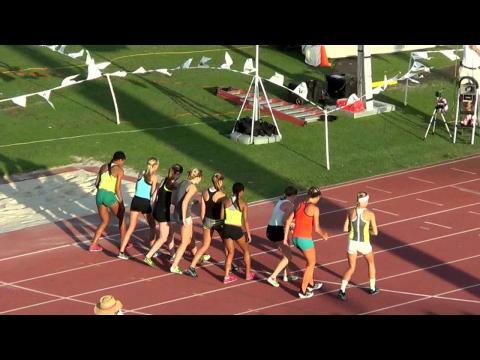 Photo by Lisa McArthur. 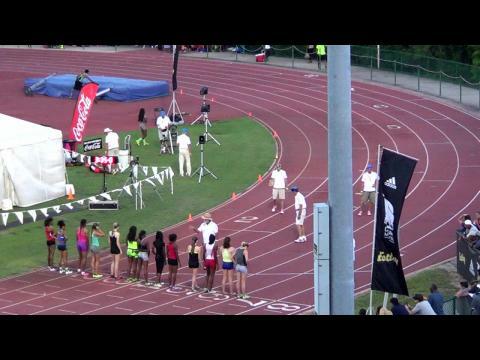 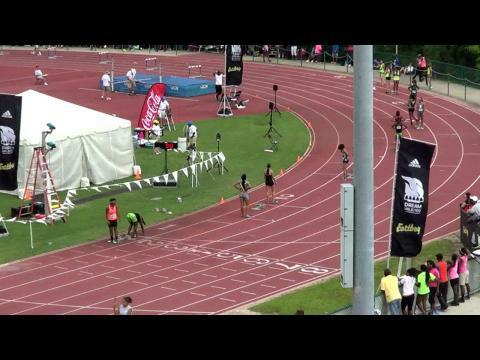 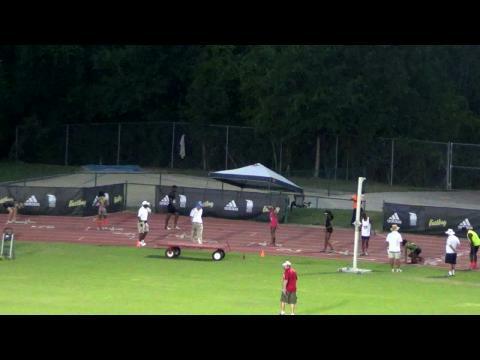 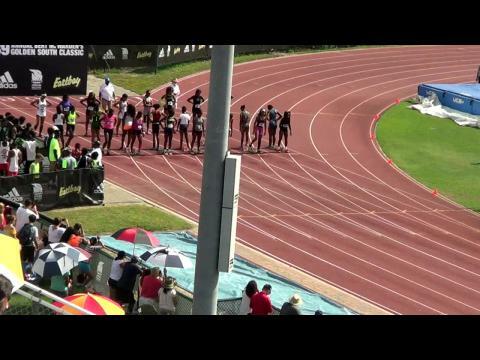 The Golden South Classic in Orlando, Florida is the final adidas Dream Mile & 100 qualifier! 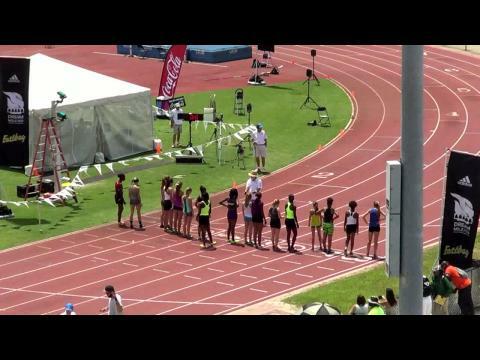 Other top meets this weekend include the Texas Meet of Champions & STATE FINALS EVERYWHERE! 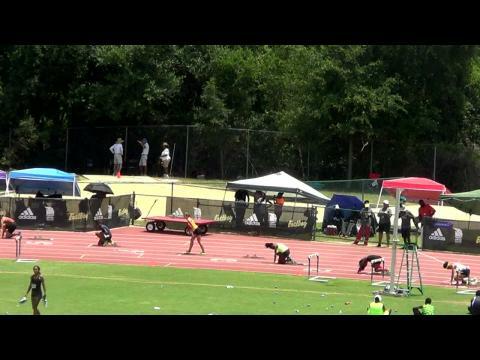 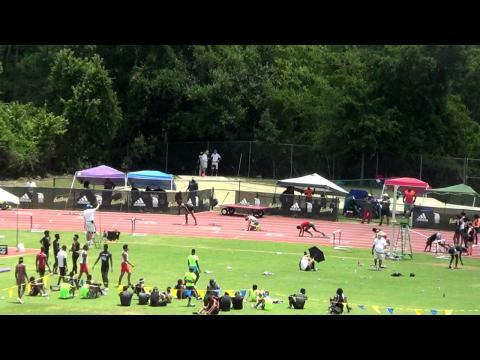 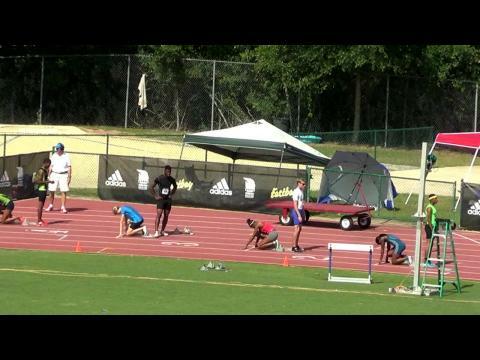 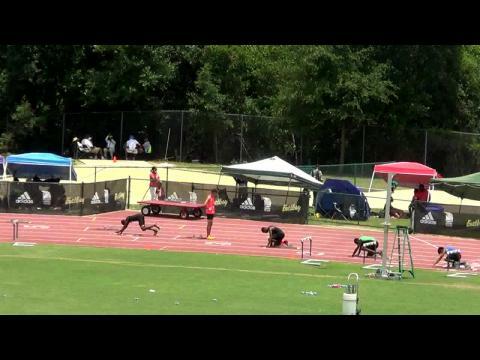 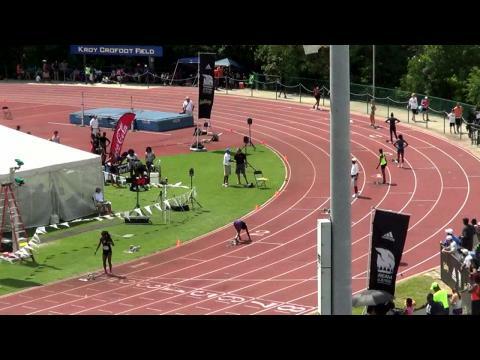 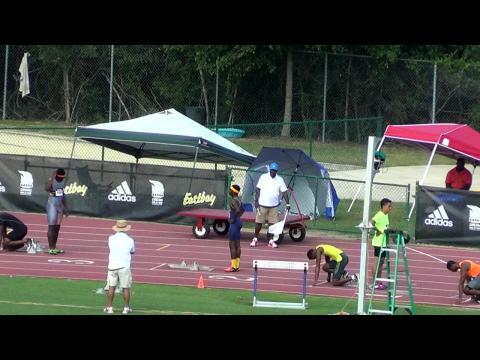 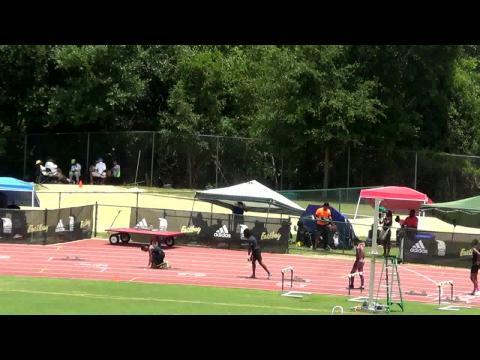 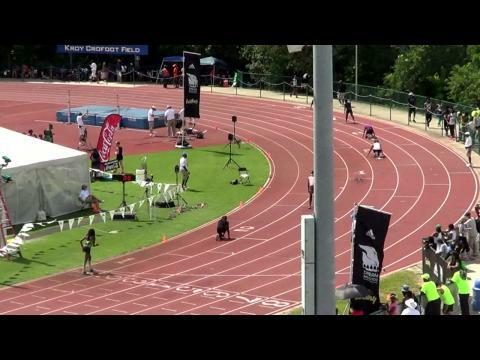 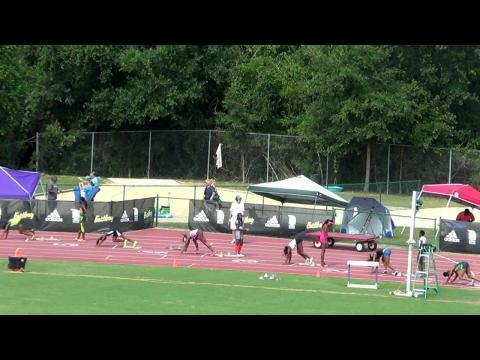 8th grader Tyrese Cooper turns heads around the nation a few weeks ago running an unbelievable middle school triple. 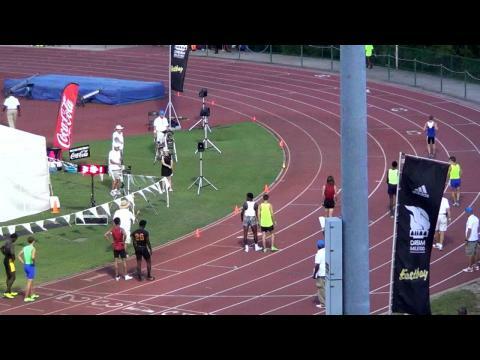 Watch him again tonight after already running 47.44! 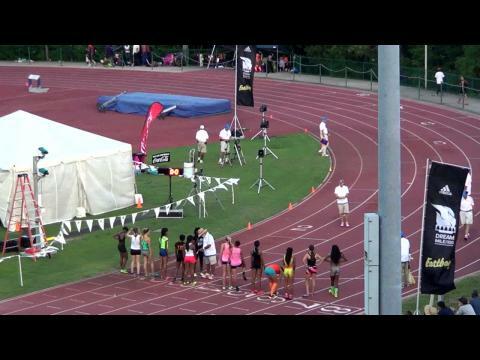 Watch Rachel McArthur punch her ticket into adidas Dream mile field in winning Golden South Classic on Saturday night in Orlando. 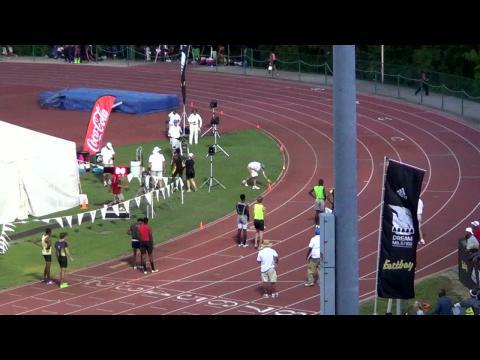 McArthur led a quality field the whole way then kicked to 62 second last lap! 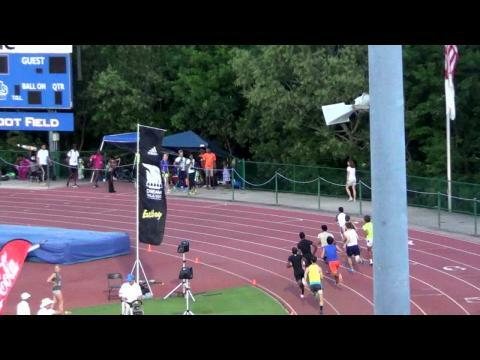 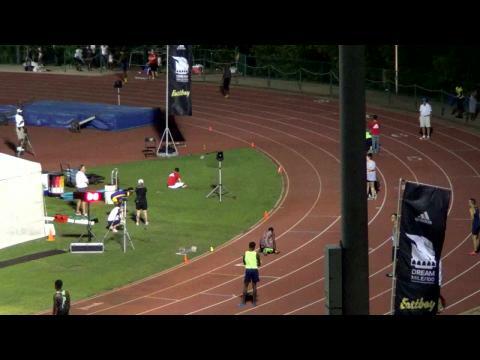 Watch the epic finish from Golden South boys mile race! 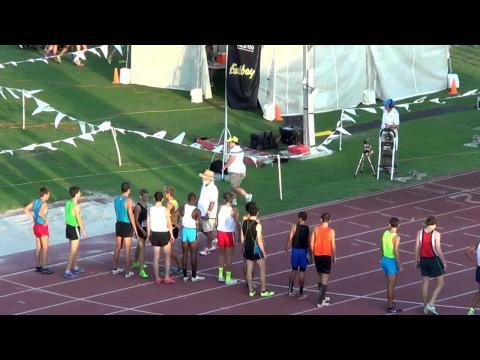 Two guys that left it all out there with Avery Bartlett (4:08.55) of Florida edging out Conner Mantz (4:08.77) of Utah for final adidas dream mile auto spot! 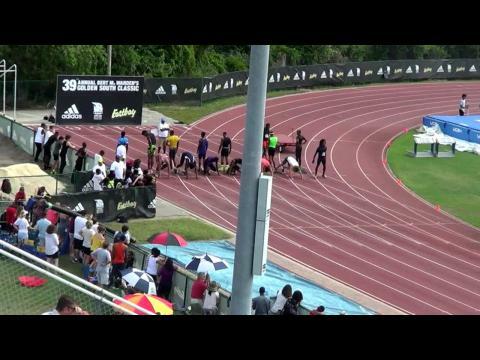 Tyrese Cooper does it again! 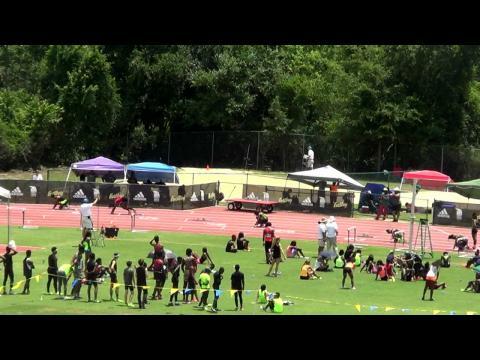 After running a 47.44 PR in the 400 in the prelims at Golden South Classic, the 8th grader from Miami lowered his time down to 47.13 in the finals! 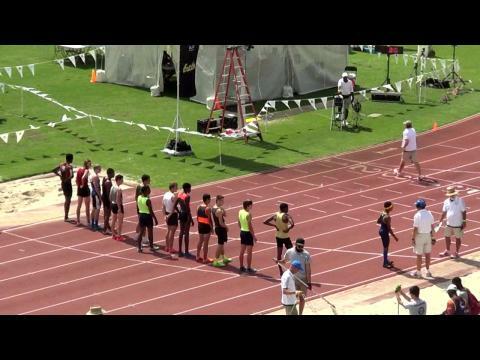 Watch the race! 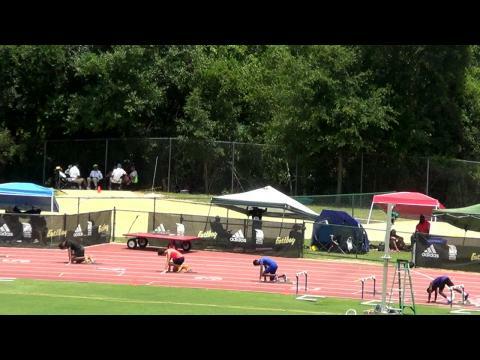 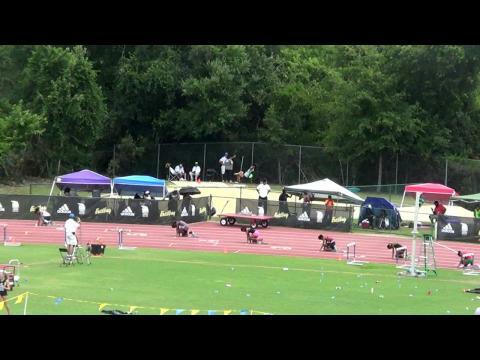 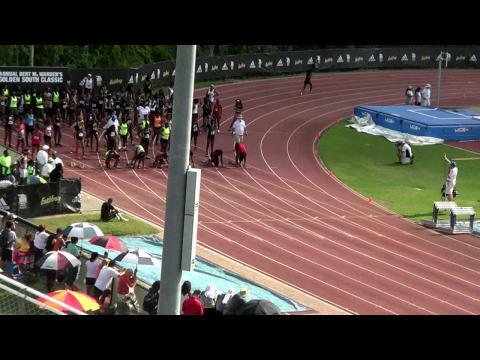 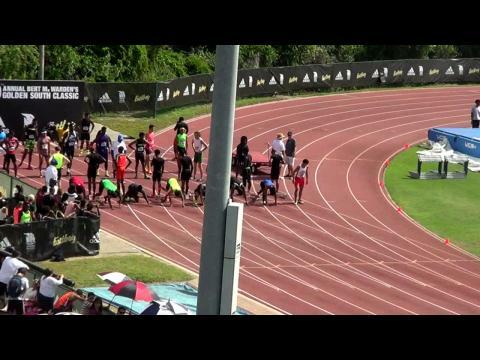 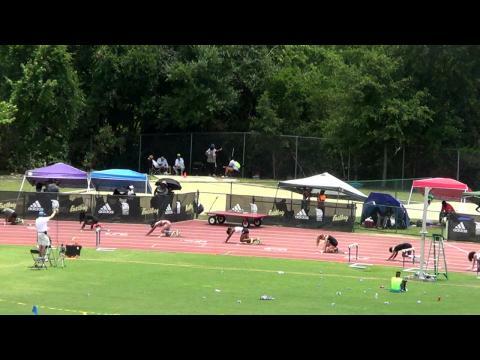 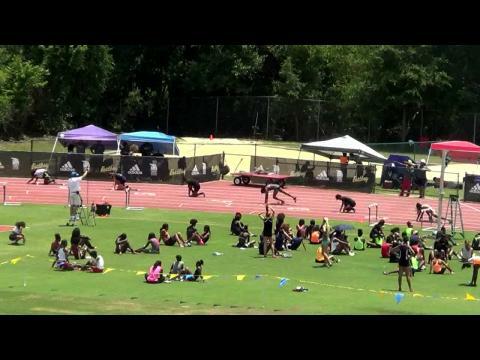 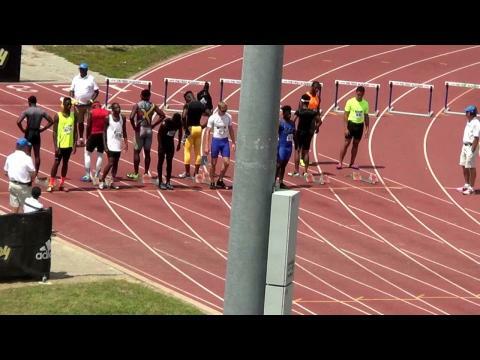 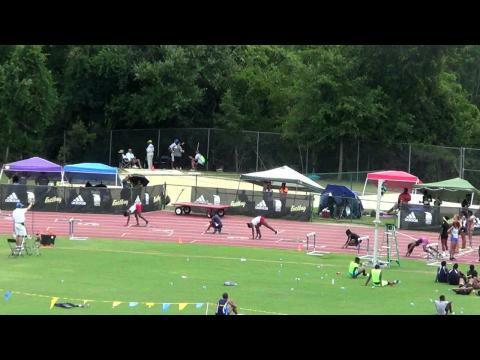 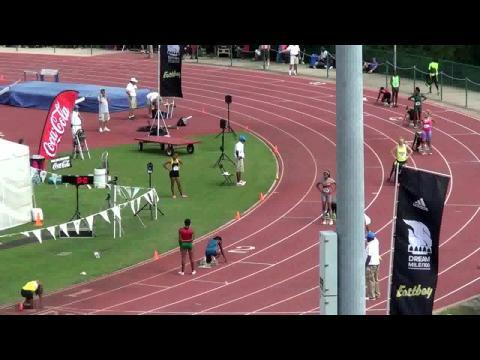 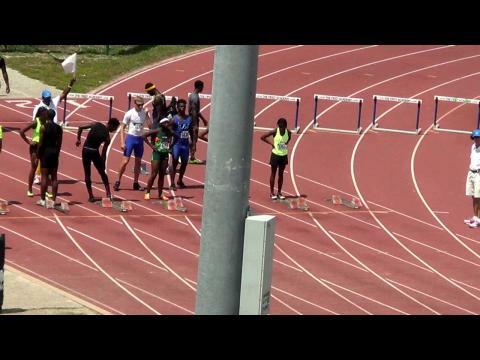 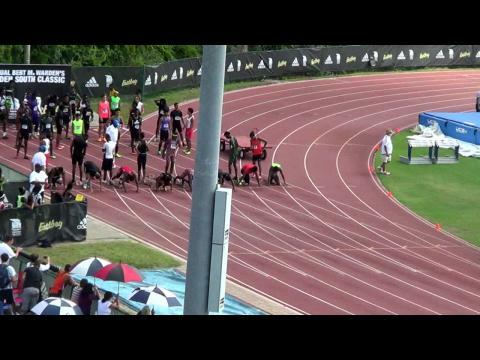 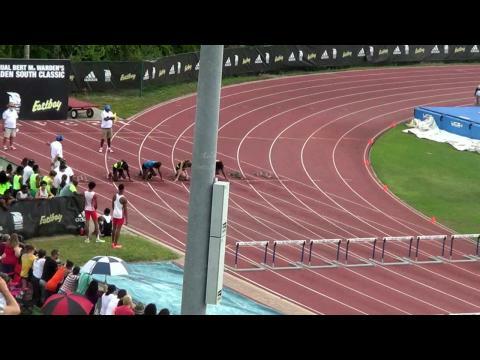 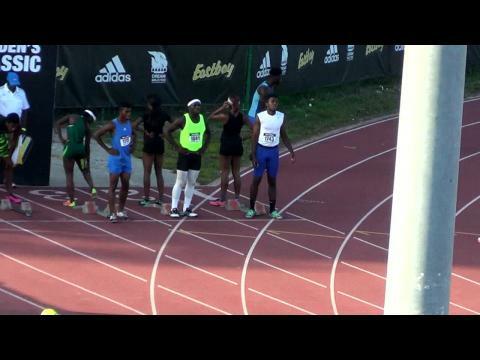 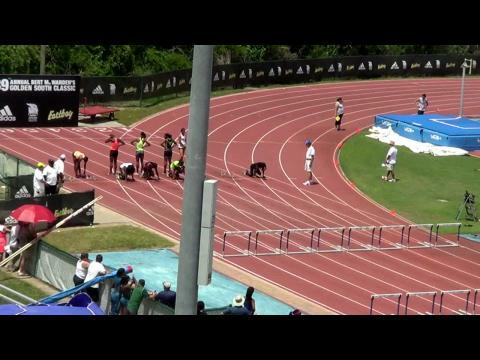 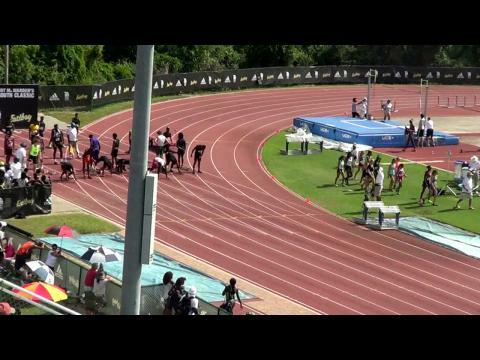 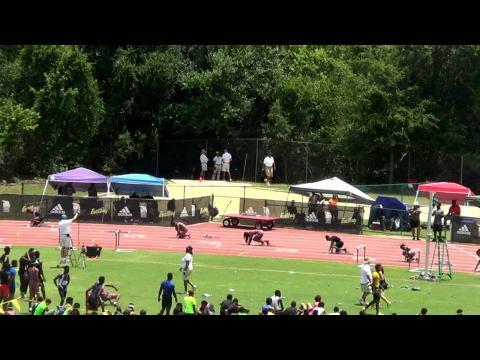 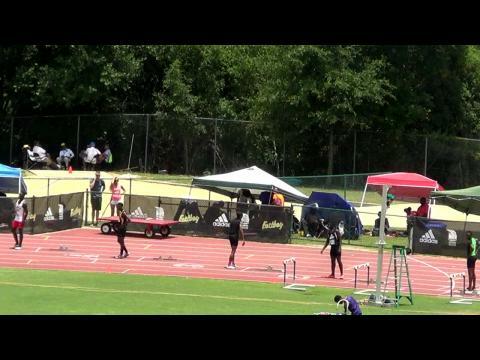 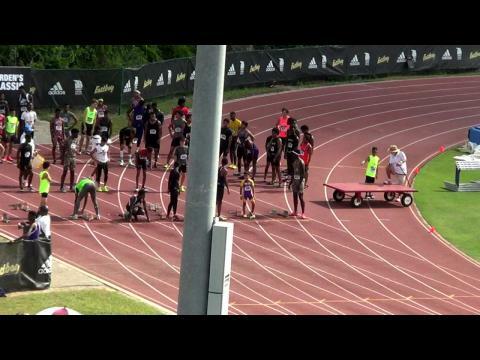 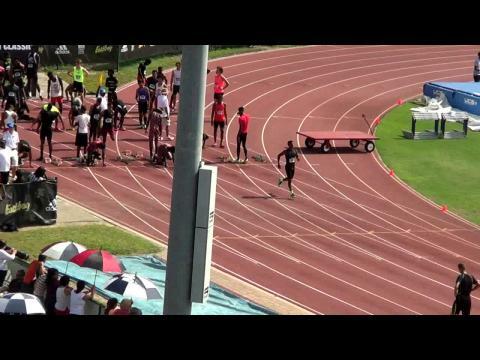 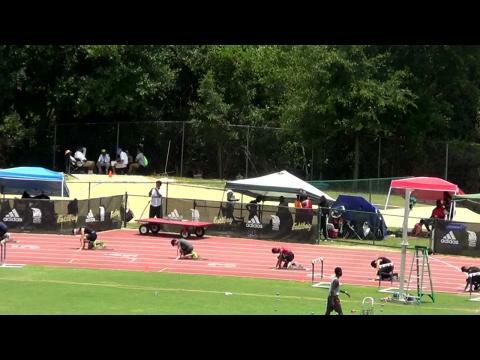 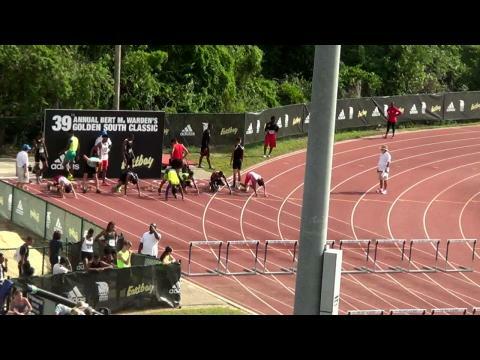 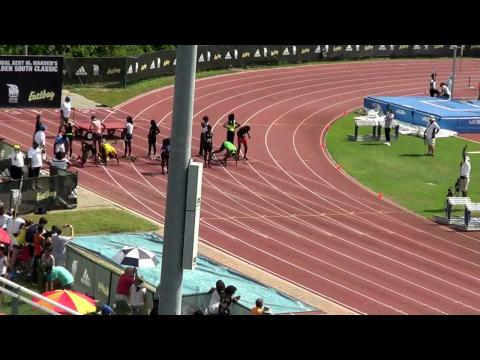 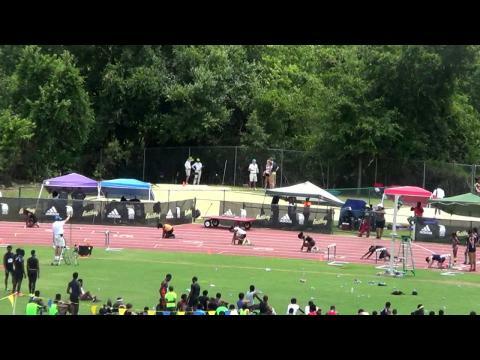 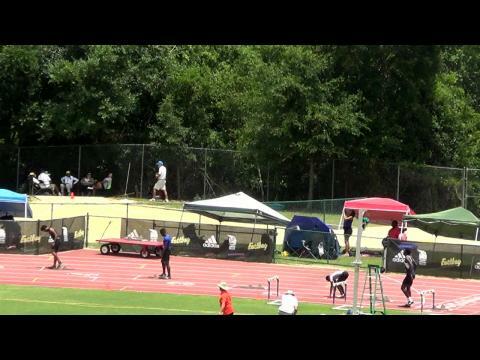 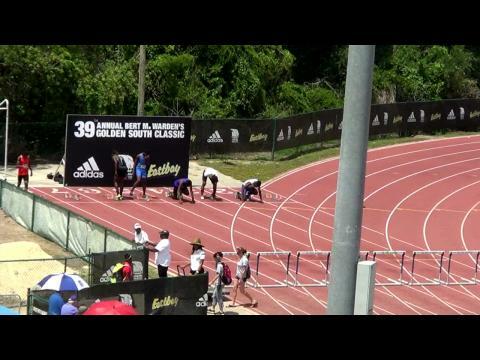 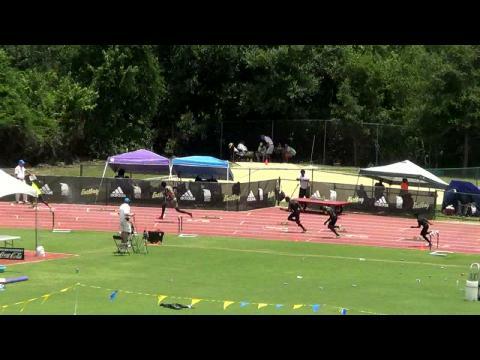 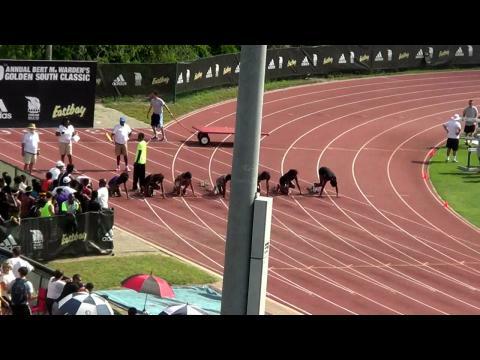 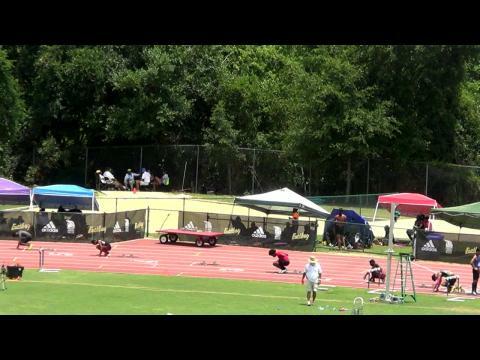 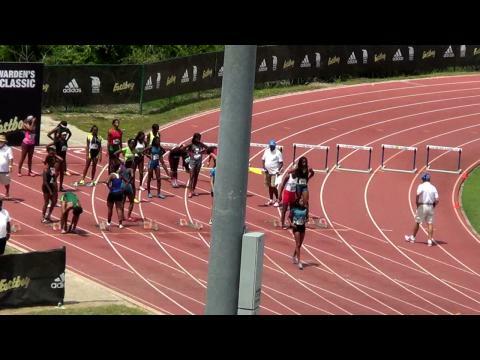 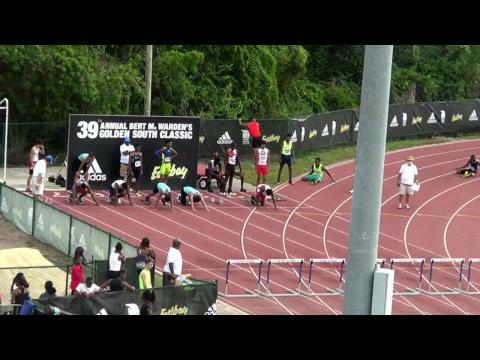 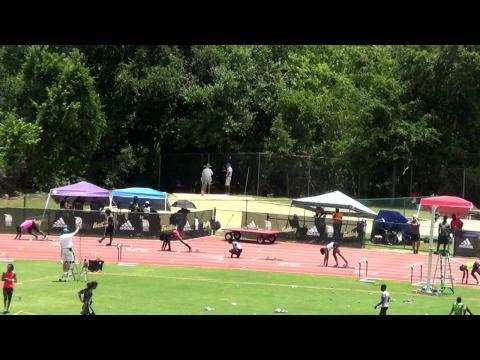 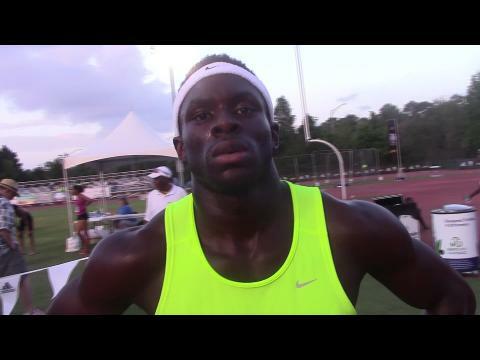 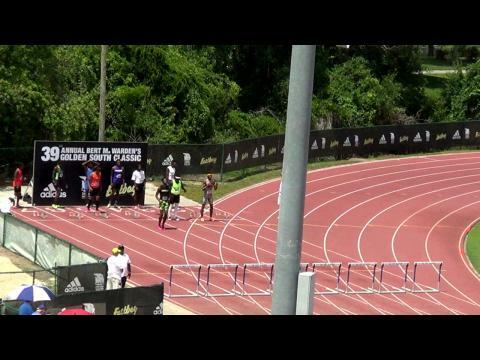 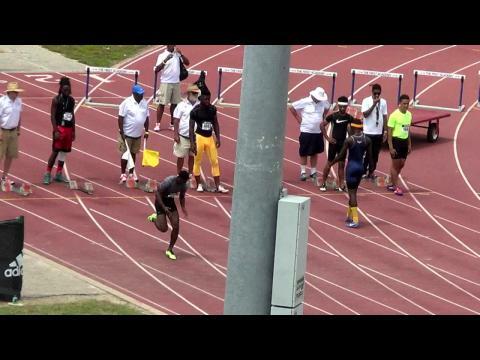 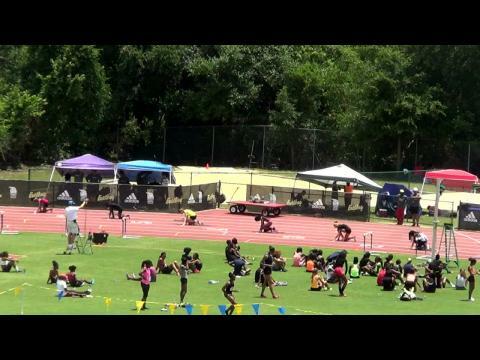 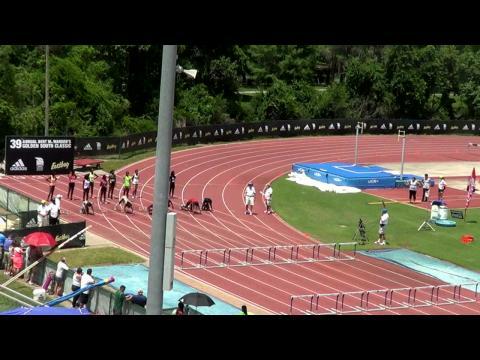 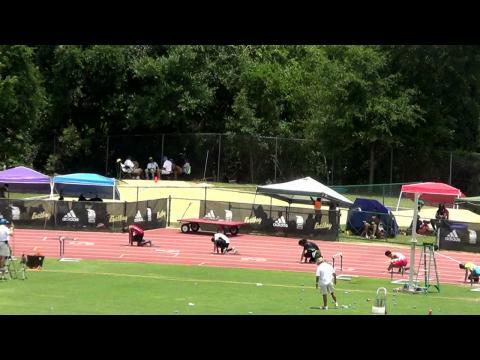 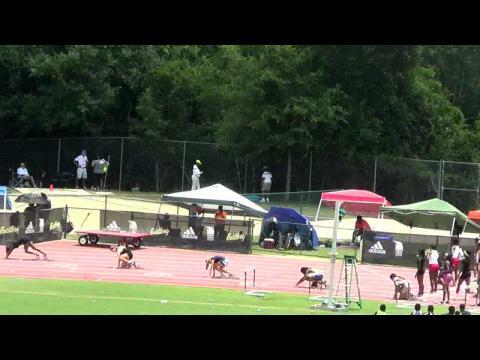 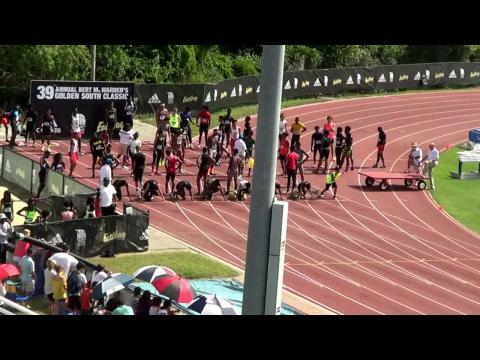 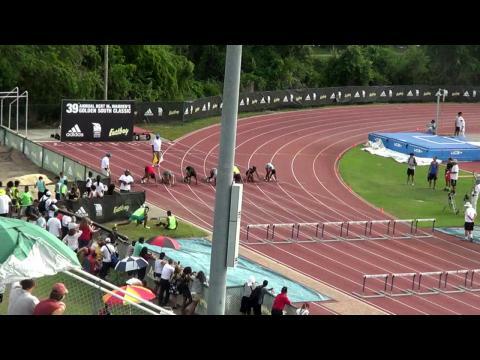 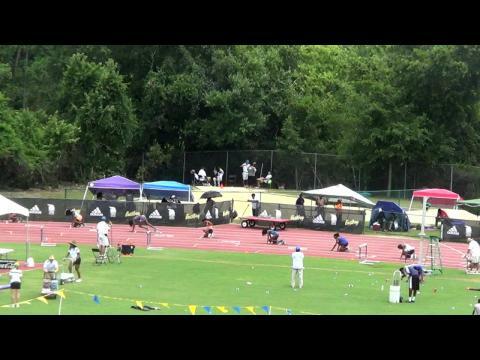 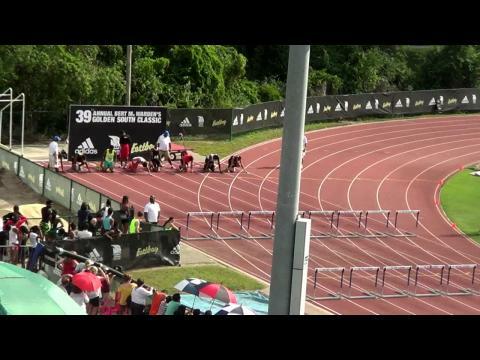 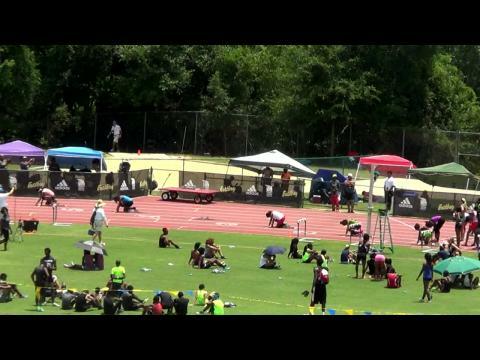 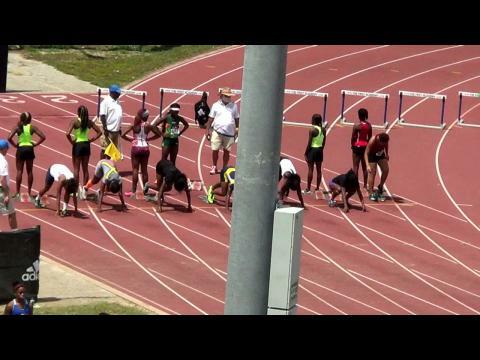 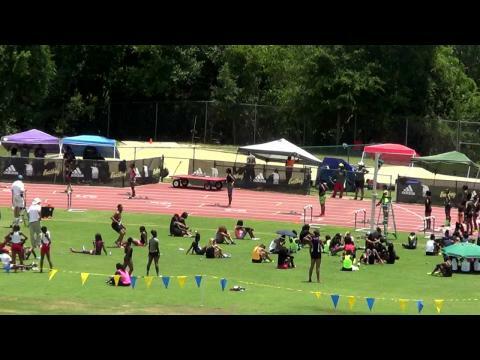 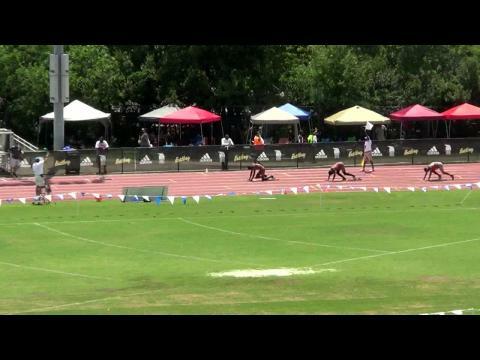 Watch every race from the 2015 Golden South Classic exclusively on flrunners.com including the boys 110 meter hurdles finals show down of state champions in Damion Thomas, John Burt, and Antwuan Musgrove. 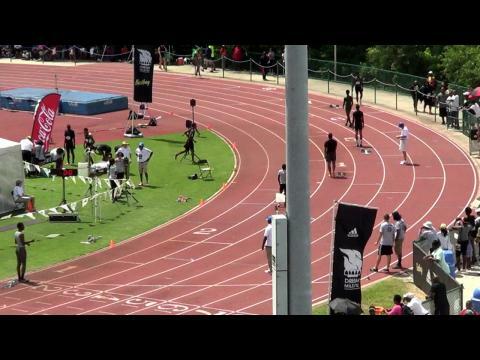 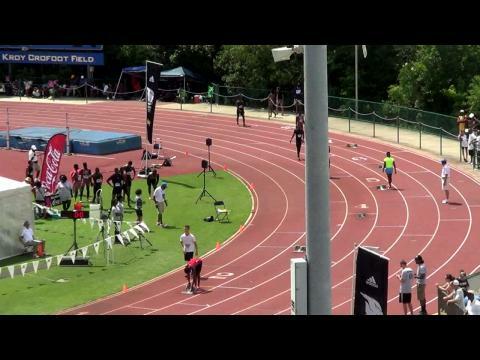 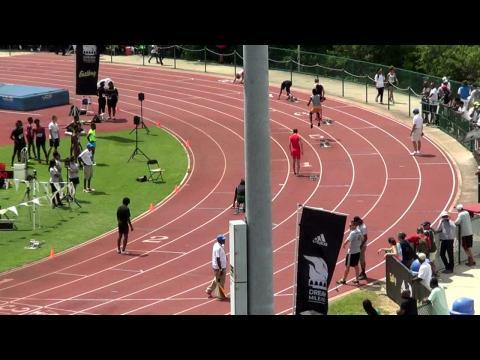 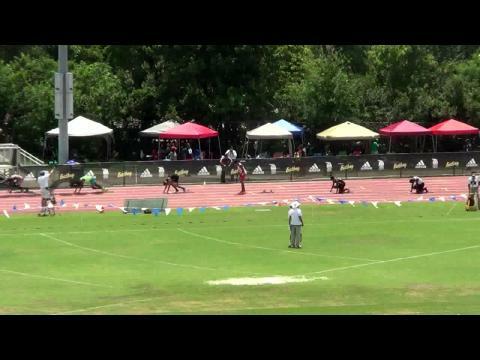 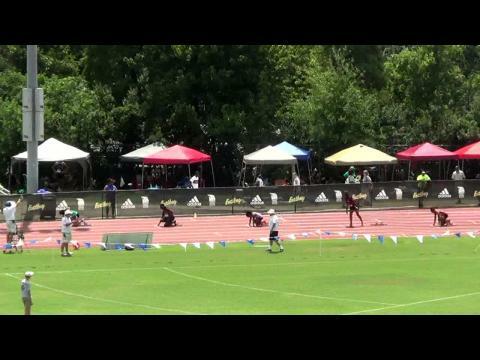 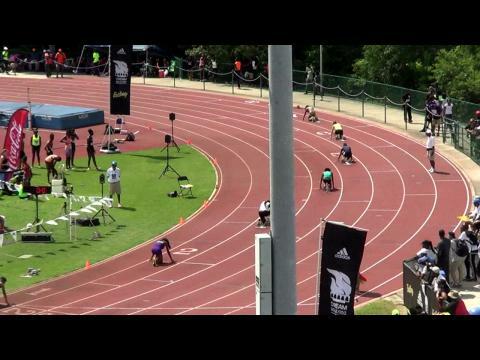 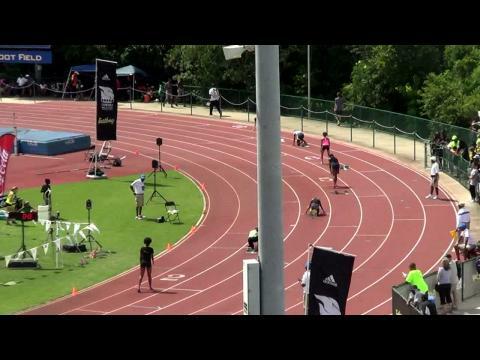 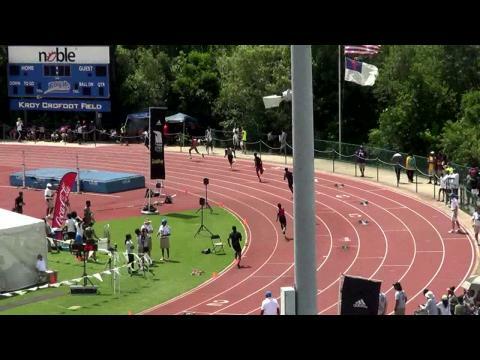 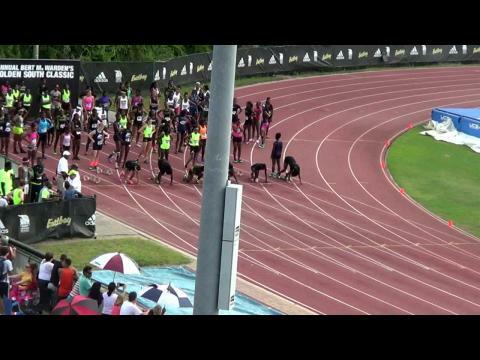 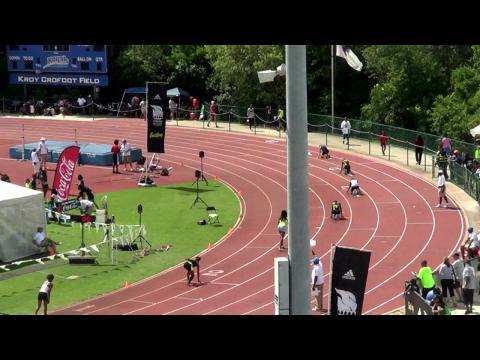 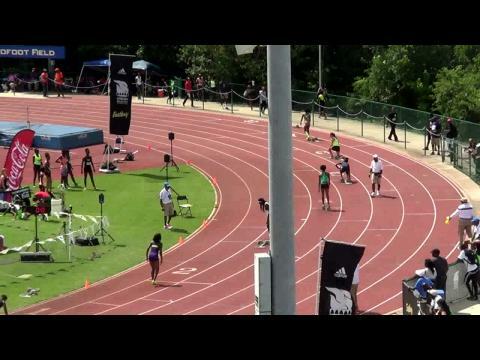 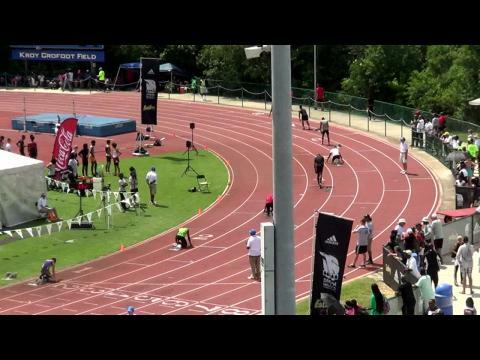 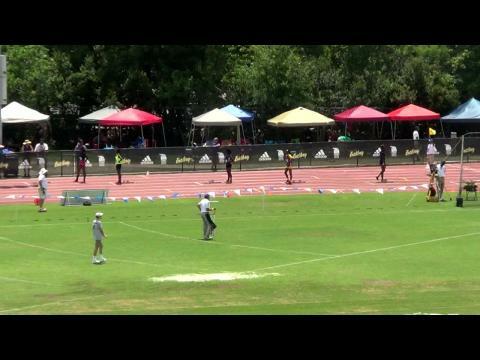 Watch Devin Quinn earn a spot in the adidas Dream 100 beating many of the best sprinters in his home state of Florida with a US #14 wind legal personal best time of 10.49 at the Golden South Classic! 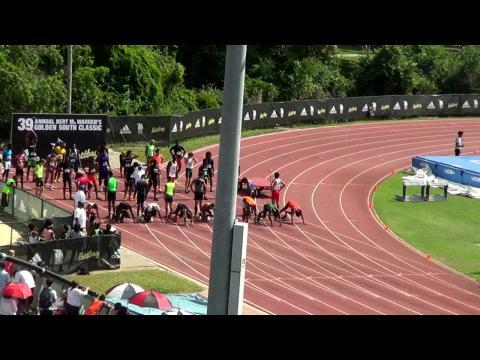 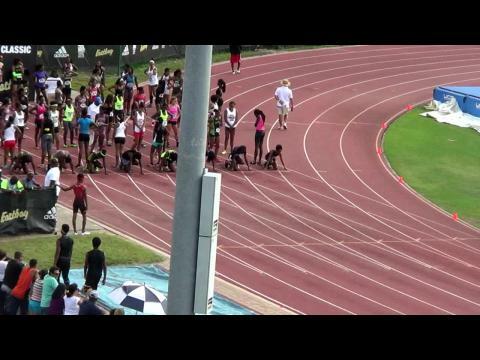 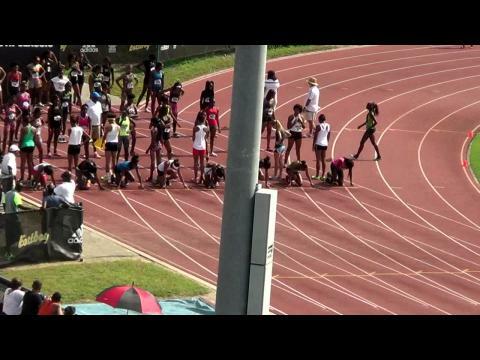 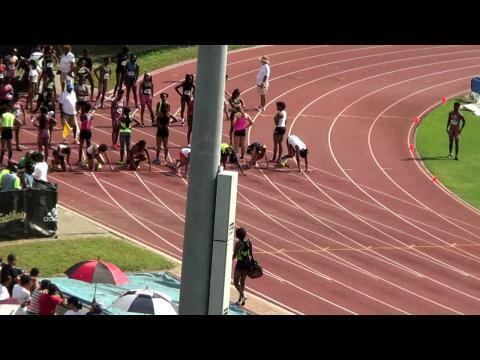 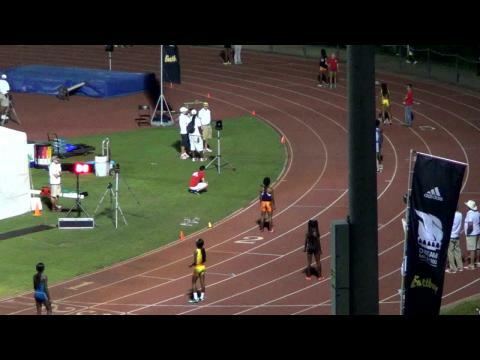 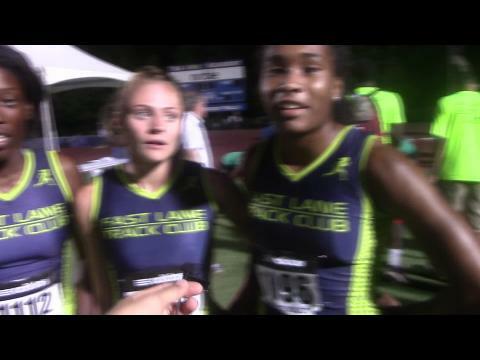 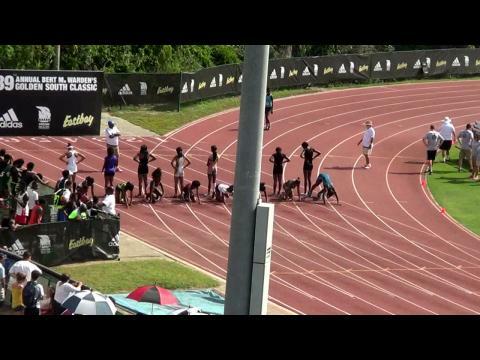 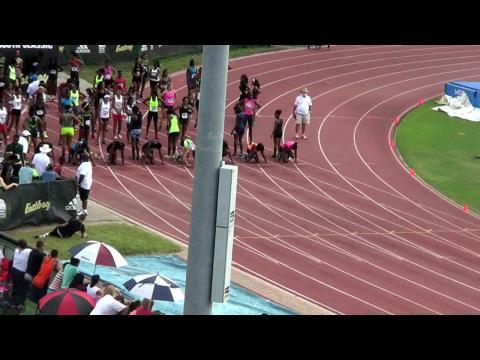 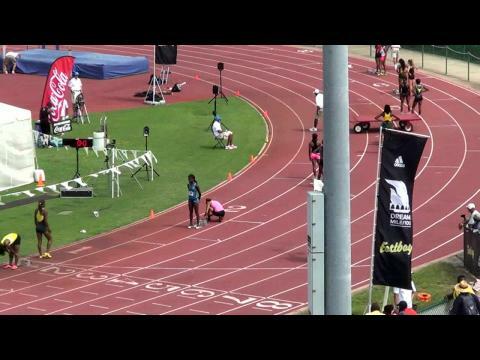 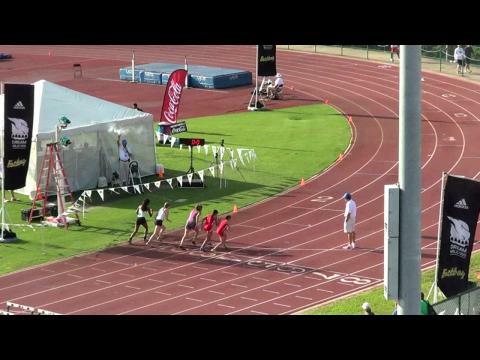 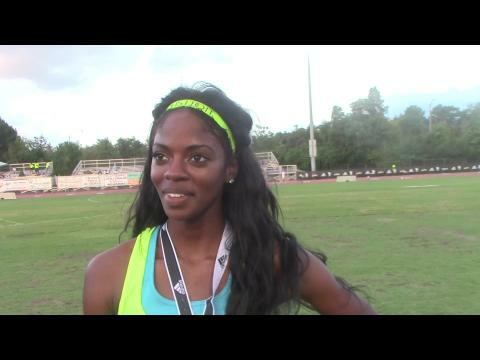 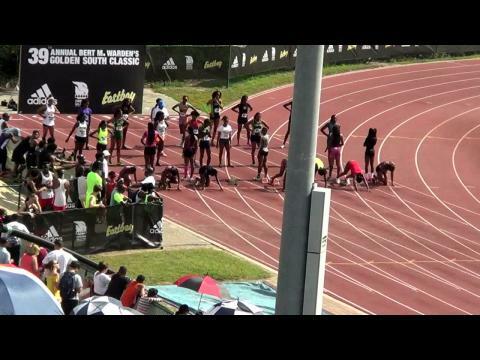 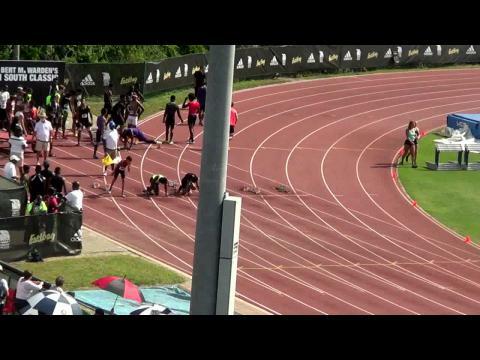 Watch Khalifa St. Fort of St. Thomas Aquinas win a Golden South loaded girls 100 which no clear favorite was present coming in, but St. Fort came out on top in US #3 clocking of 11.43! 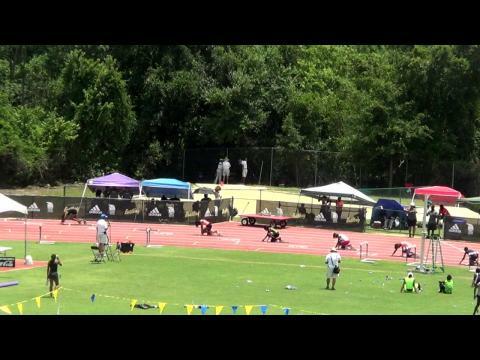 Two of the best future stars in the boys 400 were found at Golden South with US #3 ranked sophomore Jamal Walton and 8th grader Tyrese Cooper with his new 47.13 PR. 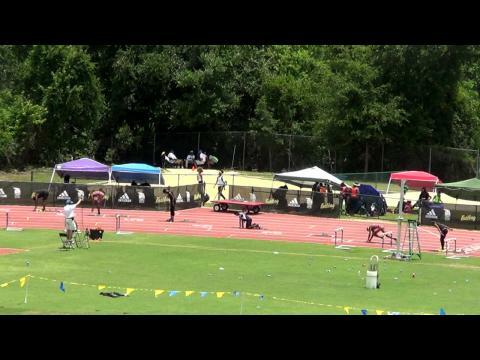 Full Golden South meet recap.